Start News IMPACT legt sich mit Europa an: Event im September! IMPACT legt sich mit Europa an: Event im September! Nach fast drei Jahren kehrt IMPACT Wrestling nach Europa zurück! Am SO, 9. September heißt es: IMPACT vs. THE UK – im Rhamen der Wrestling Mediacon 2018 in Manchester, England. Der Verantaltungstitel verrät ein besonderes Konzept! IMPACT-Präsident Ed Nordholm hat die offene Herausforderung ausgeprochen: Promotions aus England und Europa können sich mit den besten Talenten von IMPACT Wrestling messen. 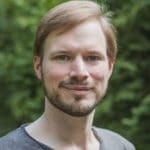 Viele neuartige Match-Arten sind also garantiert. Die Top-Namen von IMPACT Wrestling werden für den Event nach Manchester reisen. IMPACT Wrestling will return to the UK for the first time in almost three years – putting on a special event in Manchester that will see global superstars from the North American wrestling group take on the best of the European independent wrestling scene. IMPACT – which airs in more than 100 countries worldwide – today issued a blockbuster open challenge to any UK or EU wrestling promotion to face them in an inter-promotional series at the event, which will take place at Wrestling MediaCon 2018 on Sunday September 9. Tickets for ‘IMPACT Wrestling vs the UK and Europe’ live at Wrestling MediaCon 2018 will go on sale at tomorrow (Friday May 25) at 10am UK time from Ringside World at www.ringsideworld.co.uk. Ed Nordholm, the President of IMPACT Wrestling, laid down the challenge. He said: “Since we last came to the UK almost three years ago, we have seen how much the UK wrestling scene has evolved. The organisers of Wrestling MediaCon 2018 said they are excited by the prospect of IMPACT Wrestling taking on a UK promotion. 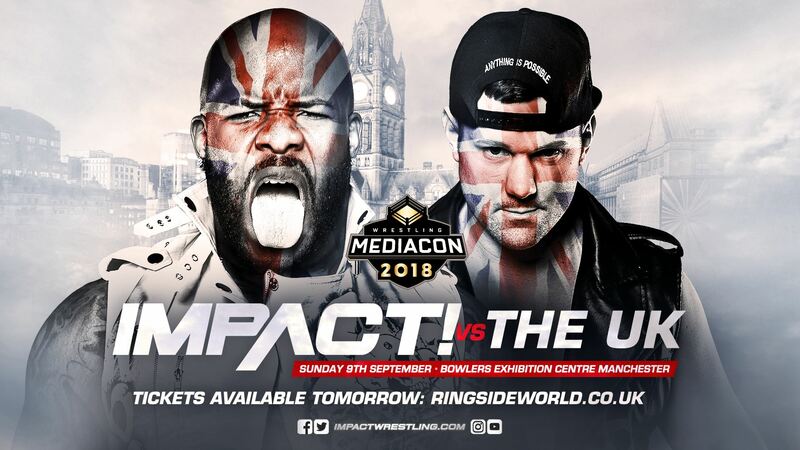 “There are many fantastic UK promotions out there and we are expecting a lot of interest in this challenge from IMPACT Wrestling,” said a Wrestling MediaCon spokesman. Any UK promotions interested in accepting IMPACT Wrestling’s challenge are invited to contact Wrestling MediaCon at info@wrestlingmediacon.com. For more information, visit www.wrestlingmediacon.com and www.impactwrestling.com.